SEATTLE – Announced on Friday, November 2, at the annual gala event, NAIOP Washington State’s 2018 Night of the Stars Awards highlight how the development community continues to find creative, sustainable solutions to fit the needs of the growing and maturing Puget Sound market. In addition to nominated projects, each year, an individual who has made outstanding contributions to the industry is selected for induction into the NAIOP Washington State Hall of Fame. This year, Ada M. Healey, Chief Real Estate Officer, Vulcan Real Estate, joins that esteemed group. At Vulcan, Ada oversees $2 billion in real estate assets. She has been instrumental in the redevelopment of nearly 60 acres in Seattle's South Lake Union neighborhood, where Vulcan is working with the city and community to create a new model for sustainable, mixed-use urban development. 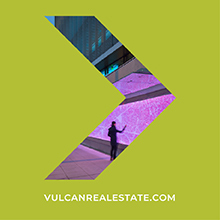 In addition, Ada has led Vulcan’s expansion into other Seattle-area neighborhoods including Yesler, Central Area, University District, and Bellevue. Read more about Ada and watch a short video of her acceptance speech and comments from her Vulcan colleagues on our blog, The Ada Healey Playbook: How to Build a City. This year, NAIOPWA has renamed the Judges’ Innovation Award, a category created to elevate and honor special projects that stand outside typical development categories, in honor of Charlie Hafenbrack, Director of Business Development, GLY Construction?. 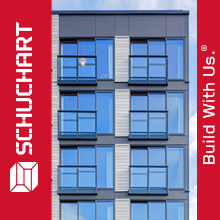 Over nearly two decades, Charlie has developed a deep presence in the Northwest commercial real estate industry. As a NAIOP Washington State member and volunteer leader, he has built the annual Community Enhancement and Night of the Stars events to the sustainable, successful events they are today. “The legacy Charlie leaves for NAIOP Washington State is multi-layered. Not only will Night of the Stars and Community Enhancement benefit from his vision and leadership, but the caliber of the chapter itself is raised by Charlie’s example of how a leader in commercial real estate can positively impact the community,” said Peggi Lewis-Fu, Executive Director, NAIOP Washington State. Each year, NAIOP’s Night of the Stars identifies outstanding real estate developments and activities in a variety of market types and the individuals who conceived of, took risks, sponsored, supported and made the projects happen. The awards aim to honor all who contributed to the successful commercial real estate market in this annual celebration of the industry. Projects are evaluated for impact on the community, market adaptability, ingenuity and local contributions. 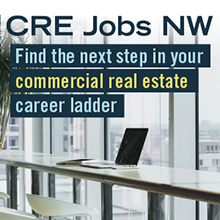 All nominations and winners are viewable via the NAIOP WA app, which is designed to transform how the Northwest CRE community networks. Visit the Night of the Stars 2018 Project Gallery for project information and photos. 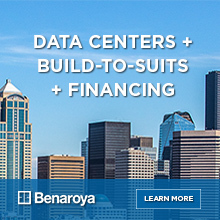 Night of the Stars 2018 is sponsored by The Benaroya Company (Platinum Sponsor) and Puget Sound Business Journal (Media Sponsor). For a complete list of sponsors, please visit NAIOPwa.org/night-of-the-stars-2018.